Vocalist, composer, keyboard player Vinayak Gupta has a versatile musical background, which comes from his Indian classical roots. He has a wide range of musical influences ranging from rock to funk to fusion jazz and has done keyboard sessions for iconic artists like Rahul Ram of Indian Ocean and was the keyboard player for Hindi-Rock legends EuphoriaFrom 2010-2017.Vinayak released his debut music video-DilKiAwaaz featuring his mother Vinita Gupta and Bangalore based drummer/producer friend Joe Panicker after which he released an EP titled ‘INFLECTIONS’. The song Tore Bin Piya from the EP was nominated under the category of Best Pop Artist for the Radio City 91.1 FM Freedom 4 awards held in Mumbai. His single releases include BeetenaKyun, which also featuredwell-knownsinger songwriter KamakshiKhanna.Vinayak’s latest release titled Raastey also marks his first International Collaboration on record in the form of a music video with cellist Natalie Spehar based out of New York. The song also features Rahul Ram of Indian Ocean on Bass. 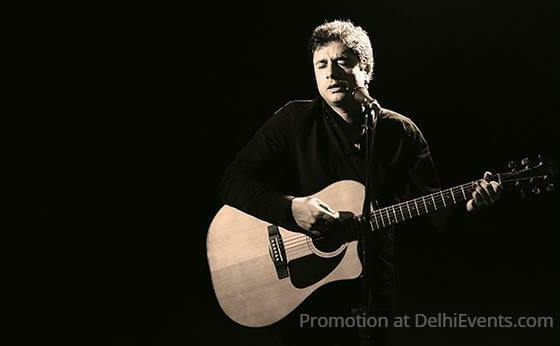 With more than 800 concerts to his credit and having toured all over the world including countries such as Switzerland, Dubai, Abu Dhabi, Macau, Bali and 2 successful US tours with India’s leading band Euphoria, Vinayak is well and truly set to embark on his solo journey as a singer-songwriter and stage performer in the musical world and is taking rapid strides in that direction with his music.